No matter how often I drive to Chelsea, I’m always amazed that this laid-back village in the Gatineau Hills is just 15 minutes from Parliament Hill. However, that proximity — along with its location at the edge of Gatineau Park — means it offers more shops and services than other small towns. New to the region is O’Brien House, which opened earlier this year in a 1930s mansion just west of the village. 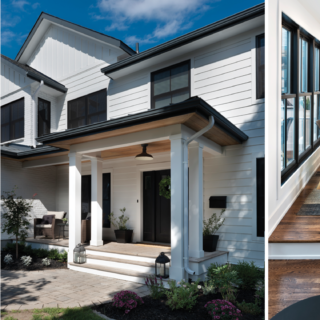 The former O’Brien family cottage was renovated to the tune of $5 million — and a few million dollars buys a lot of rustic-chic luxury. 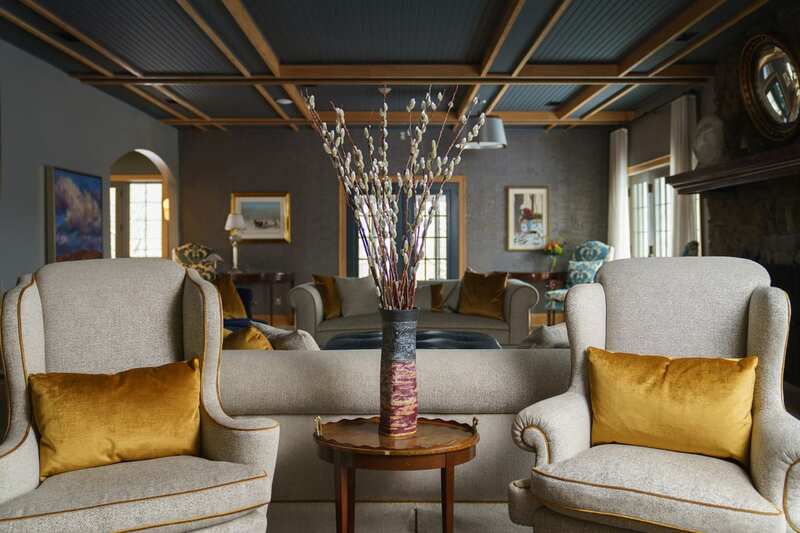 For example, a stone fireplace and artworks from the NCC’s Crown Collection dominate the Canadiana Room, a living room/dining area with sweeping sunset views of Meech Lake below. There, you can gaze into each other’s eyes over executive chef Patrick Marion’s daily six-course tasting menus (one for vegetarians, one for omnivores). The food is local, so if whatever is fresh that week isn’t your favourite ingredient, that might be an issue. If romance is your aim and money is not an object, book Room 12, the bridal suite with 270-degree views of the lake and hills, a deep soaker tub, and a shower big enough for two. Step outside that rustic luxury to find the snowshoe and cross-country trails of Gatineau Park, offering everything from short loops to full-day treks. Hotel staff can arrange for equipment rentals for guests to explore the nearly 50 trails accessible from their property. Nearby, Camp Fortune ski centre has 24 runs, including 12 lit for night skiing, along with seven lifts, two lodges, and a terrain park. Ease aching muscles and improve circulation by soaking in the hot pools, then plunging into the cold pools, at Nordik Spa-Nature. There’s something oh so Canadian about being enveloped in clouds of steam in a hot tub as snow falls gently. 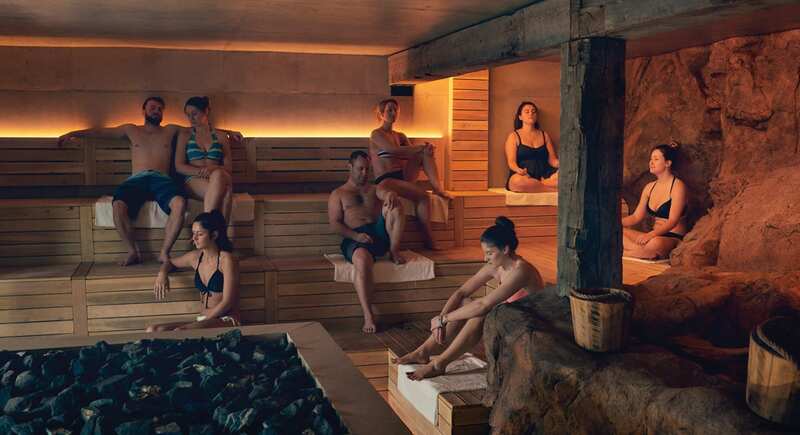 For a little extra, try one of the new experiences, such as floating in the cavernous Källa saltwater bath. (One of only two such pools in the world, the pool aims to replicate swimming in the Dead Sea.) Or sign up for the Russian-inspired Banyä treatment, which involves Russian treats and a gentle flailing with birch branches (the latter to improve blood circulation). For the more traditional, massages for couples are available. The spa is open daily from 9 a.m. to 11 p.m. (until midnight on Fridays and Saturdays). And make sure to take a stroll through the eclectic village — pick up colourful handmade paraffin-wax candles at Doozy Candle. Check out the new cafés on the strip: California-inspired Palmier Café offers excellent coffee and high-end snacks, and Meech & Munch serves up sophisticated comfort food. 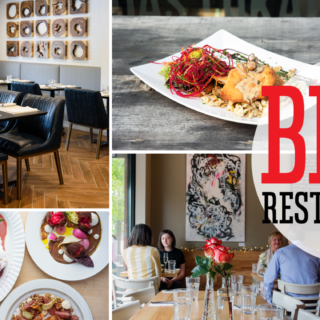 A renovated Biscotti invites hungry hikers, while Tonique offers nouveau comfort food; Les Saisons is another great option for coffee, tea, and light snacks. 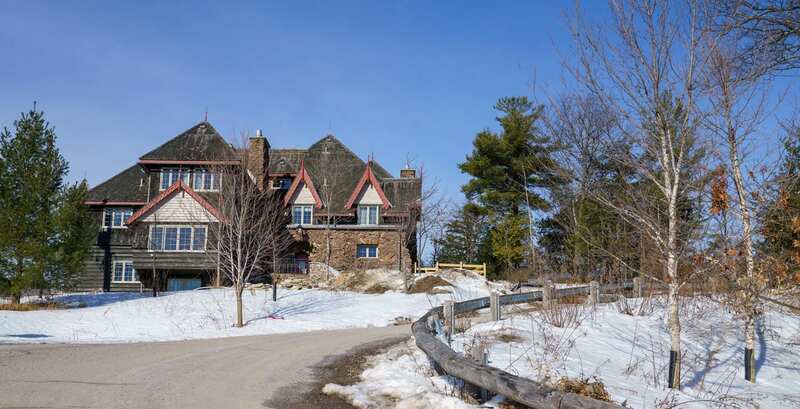 The village of Montebello, located on the north shore of the Ottawa River an hour northeast of the capital, is pretty much synonymous with the resort that shares its name. The construction of Fairmont Le Château Montebello was a national news story at the start of the Great Depression. Some 1,200 train cars packed with building materials arrived at the site on a new rail spur, and up to 3,500 workers slogged around the clock to build the main lodge and two outbuildings in just four months. 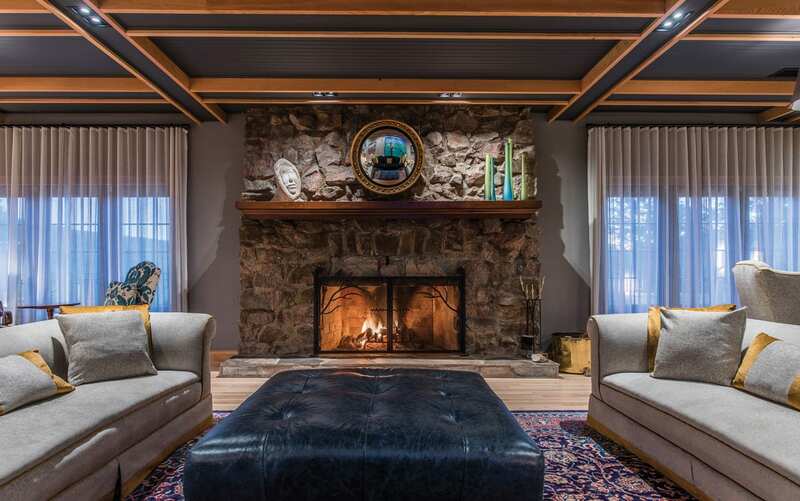 When it opened in 1930, the Seigniory Club was a private sporting lodge for rich folks, and the enormous log structure has remained a place for outdoorsy types to sail, swim, ski, and enjoy bucolic luxury. A hotel since 1970, Montebello has welcomed such VIPs as Princess Grace of Monaco and U.S. president George W. Bush. However, these days, it’s also a great place to splurge on a family getaway, as it offers connecting rooms, pullout couches, family packages, babysitting services, kids’ menus in Bistro La Seigneurie, pint-sized bathrobes, cribs, and more. You can even take your pet (pet-sitting and dog-walking services are available). Myriad outdoor activities — skating, snowshoeing, and cross-country skiing — are included in the daily resort fee of $27 per room. 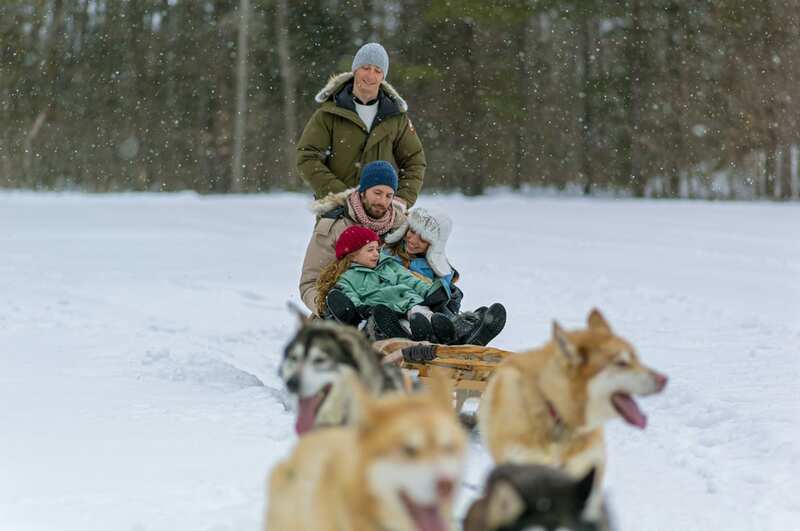 Some marquee activities — such as curling, tubing, dogsledding, and horse-drawn sleigh rides — cost extra. The property is also home to Canada’s largest indoor hotel pool, housed in a spacious log outbuilding that also includes two whirlpools, two saunas, and a fitness centre. And here’s a little-known perk: even if you’re not staying at the hotel, you can enjoy most of its activities by paying for them à la carte. A visit to nearby Parc Omega is usually a hit with kids. On a 15-kilometre driving route (take your own vehicle), keep your eyes peeled for bison, elk, coyotes, black bears, moose, grey wolves, and other northern hemisphere critters. Buy carrots at the park office to feed the gentler animals, such as deer. Speaking of Bambi, take your snowshoes and you can tramp past deer on the Colonization Trail. After all the tubing and sledding and snowshoeing, you and your family deserve a reward. Head to ChocoMotive, an “econo-musée” housed in a former train station, where you can learn all about chocolate-making while watching chocolatiers at work. Or you could just go straight to the good stuff: the rich, not-too-sweet hot chocolate. If you’re not afraid of the resulting sugar high, buy some pralines (in flavours such as spiced caramel, almond-hazelnut, and dulce de leche) to keep everyone happy on the drive home. Prefer your chocolate in alcoholic form? Head across the road to Les Brasseurs de Montebello, which brews about a dozen craft beers, including an amber ale made with ChocoMotive cacao. A few doors down, pop into Fromagerie Montebello to pick up some award-winning Rebellion 1837 cow’s-milk blue cheese for the grownups and squeaky cheddar curds for the kids. Whether you call it a buddy weekend or that hackneyed marketing phrase “girls’ getaway,” the ingredients are usually the same: one or more friends, a few good restaurants, lazy browsing for things you don’t need and, crucially, a relaxing hotel to shoot the breeze. Perth fits the bill on all scores. 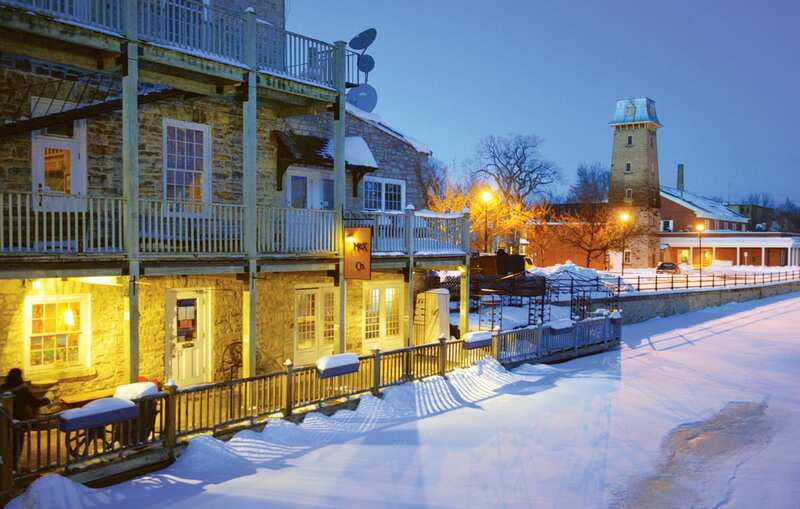 The Lanark County town, an hour southwest of Ottawa, recently celebrated its 200th birthday and has the heritage vibe to match. The clock-towered limestone town hall, built in 1864, is a national historic site that dominates Gore Street. The Tay Canal runs through downtown and links Perth to the Rideau Canal. 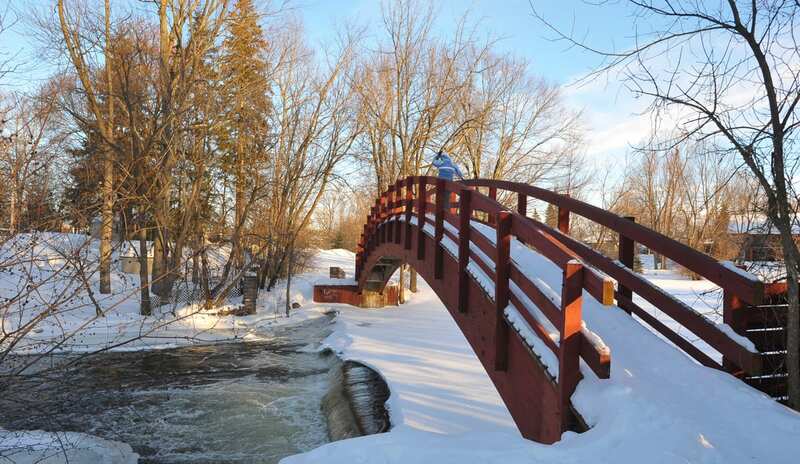 Just off the main drag, Stewart Park is a picturesque place to stroll, even in winter. The former home of the family that donated Stewart Park to the town is now the Perth Manor Boutique Hotel. 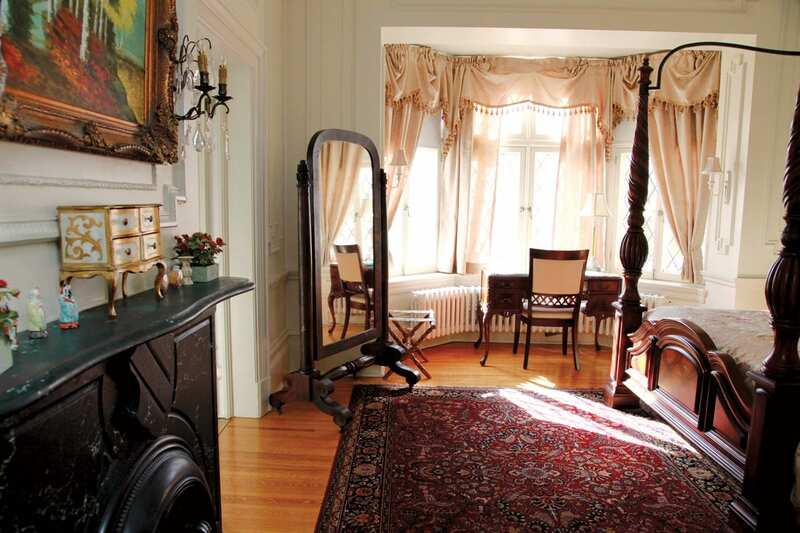 The rambling 1878 mansion is stuffed to its crown mouldings with four-poster beds, Sheraton-style chairs, and opulent chandeliers. Highlights include the sunny conservatory, which houses the bar, and the two-bedroom Victoria Suite: with a main bedroom, a smaller room with twin beds, and a shared bath, it’s ideal for groups of three. The huge hot breakfasts will give you the energy to hit the shops downtown, an easy 10-minute walk away. Depending on your group, you might be drawn to Lavender and Lace (for lingerie and jewellery), Shaw’s of Perth (for men’s and women’s clothing), or Backbeat Books and Music (for turntables, vinyl, cassettes, and books). Later in the day, if you don’t mind a six-minute drive from the hotel, Top Shelf Distillers makes vodka, gin, and moonshine; free tours are hosted daily. With its exposed brick walls, pendant lamps, and chalkboard list of local craft brews, the Rocky River Café is a great place for straightforward, satisfying salads, sandwiches, and burgers. (Try the California burger, topped with avocado and cilantro-lime mayo.) 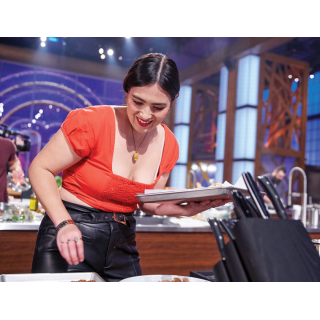 For something a bit fancier, The Stone Cellar is a sleek restaurant where chef (and Chopped Canada winner) Nick Valliquette creates locavore dishes such as Frenched chicken with Ontario peach-cranberry chutney. 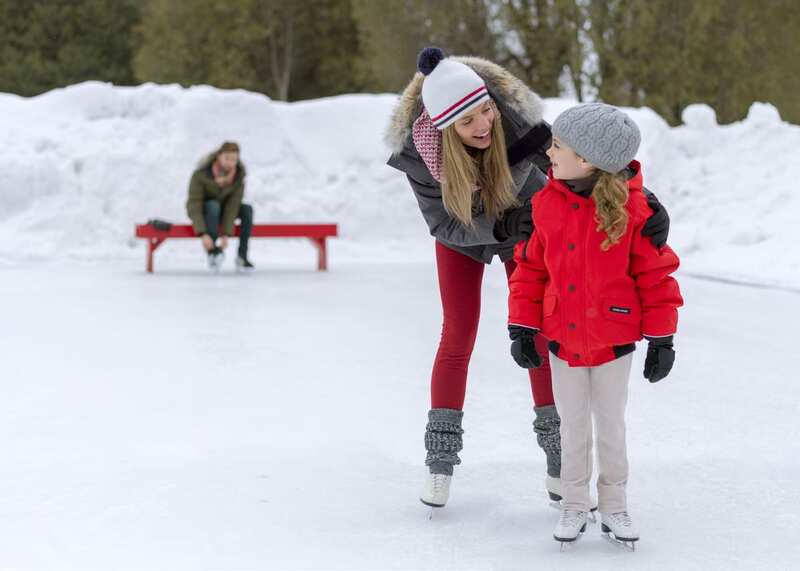 If you’re feeling energetic, you could also check out the Ice Trail, a 400-metre skating track through the woods at Perth Outfitters on the edge of downtown. 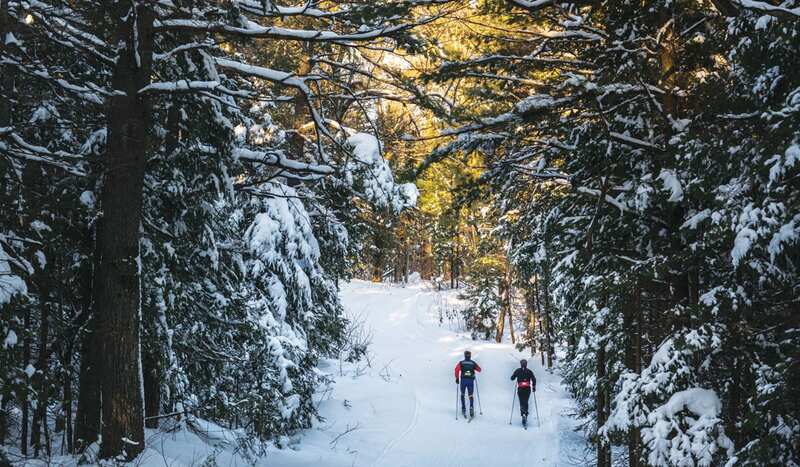 Or you could cross-country ski at Conlon Farm, a five-minute drive from the hotel.